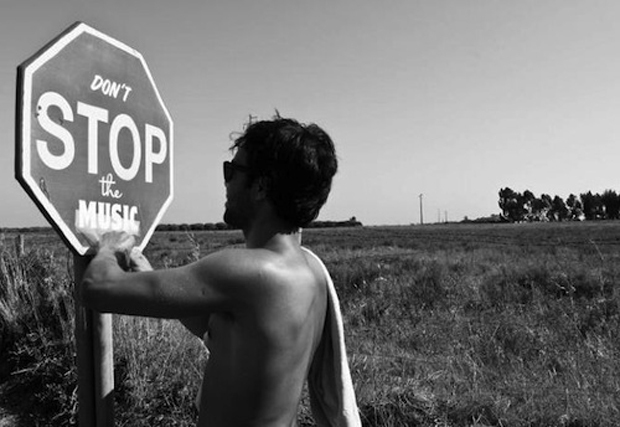 How many songs can you think of that have the word STOP in them? 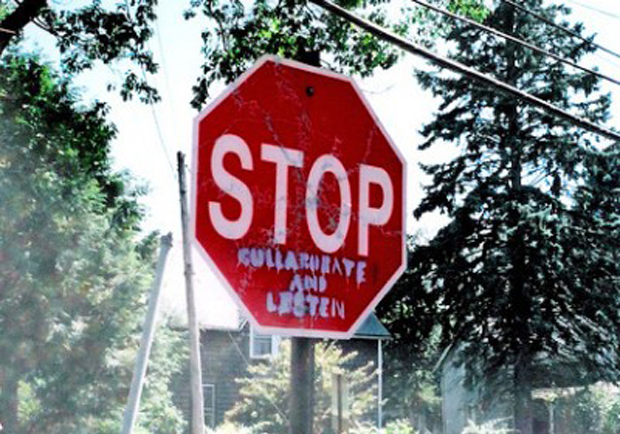 Apparently graffiti artists have been able to think of quite a few and have used them to alter stop signs all over the country. These are our favorites. 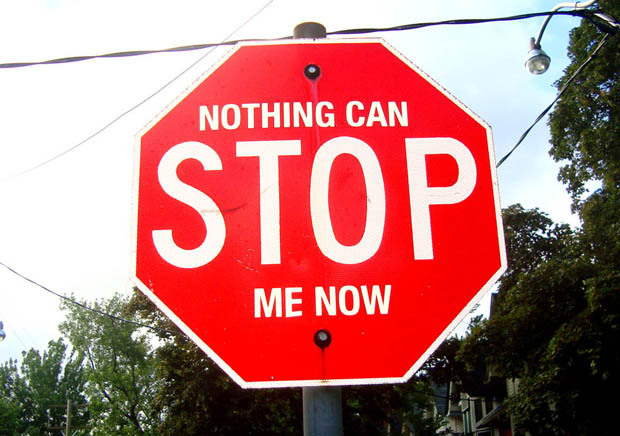 From MC Hammer’s 1990 song "U Can’t Touch This." 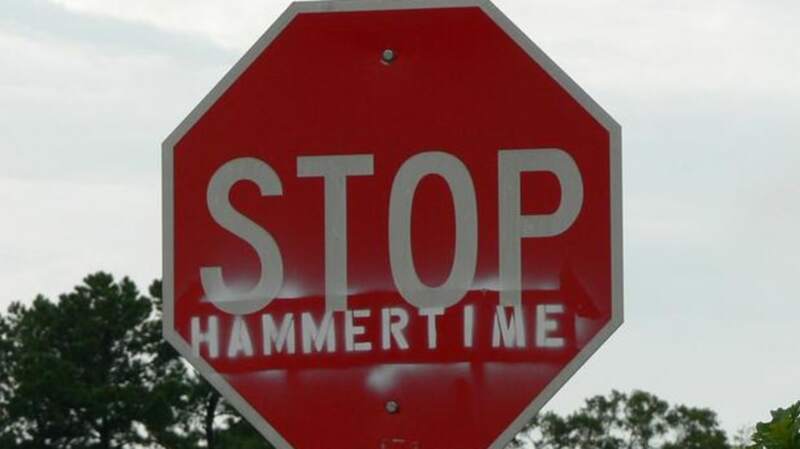 MC Hammer is perhaps best remembered for his pants and for the line adorning this sign. 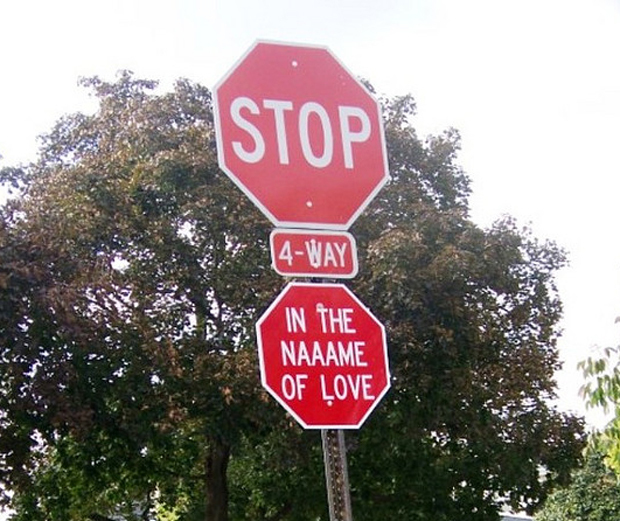 Released in 1965 by the Supremes, "Stop in the Name of Love" has been covered many times. Michael Jackson looks so young performing this 1979 song, "Don’t Stop til You Get Enough." Vanilla Ice's—or Robert Van Winkle—song "Ice Ice Baby" was released in 1989. R&B group Archie Bell & the Drells released "I Can’t Stop Dancing" in 1968. 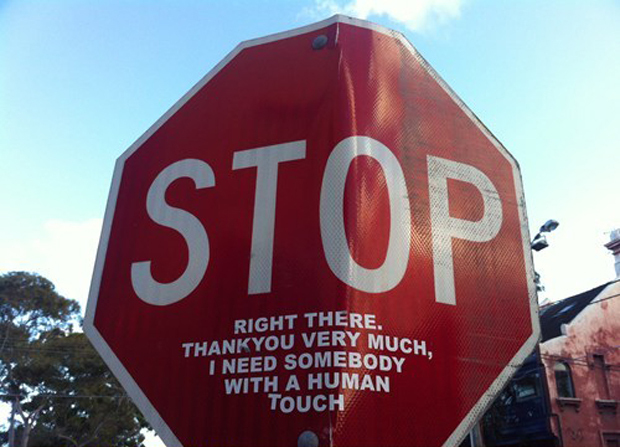 The Spice Girls released "Stop" as part of their Spiceworld album in 1997. 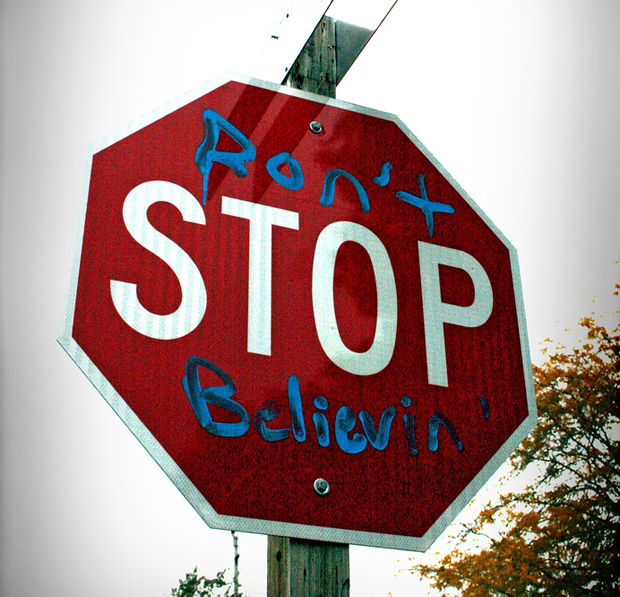 Men of a certain age can’t get enough of Journey’s 1981 song "Don’t Stop Believin’." We’re linking to the Glee version here. Purists, please forgive us. 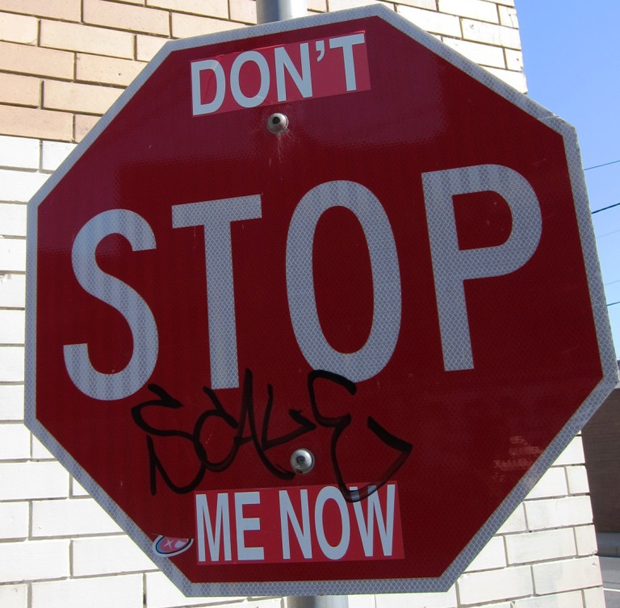 Queen recorded "Don’t Stop Me Now"—memorably used in one sequence of the zombie film Shaun of the Dead (NSFW language in that clip)—in France in 1978. Rihanna released "Don’t Stop the Music" in 2007.